Authorities say smugglers are now using company logos to sneak people into the United States. 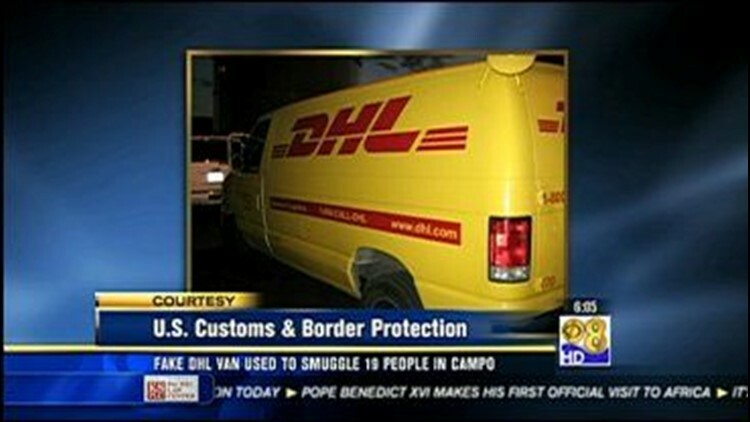 Border patrol agents said they saw a copy-cat DHL delivery van on Buckman Springs Road in Campo on Saturday. The agents said 19 people were crammed inside the van. They tried to run when the van was pulled over, but were later arrested. The driver escaped.